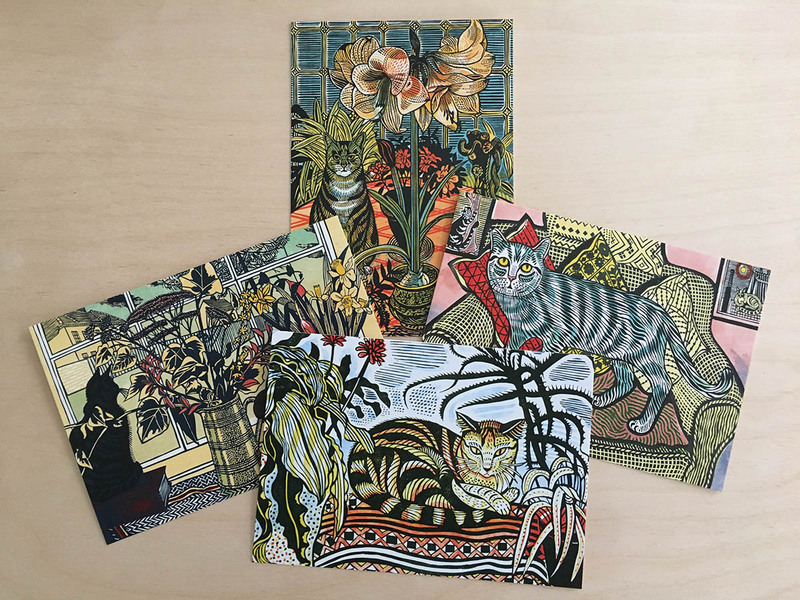 A set of 12 postcards – 3 of each design from linocut prints of Edward Bawden’s cats. With envelopes. 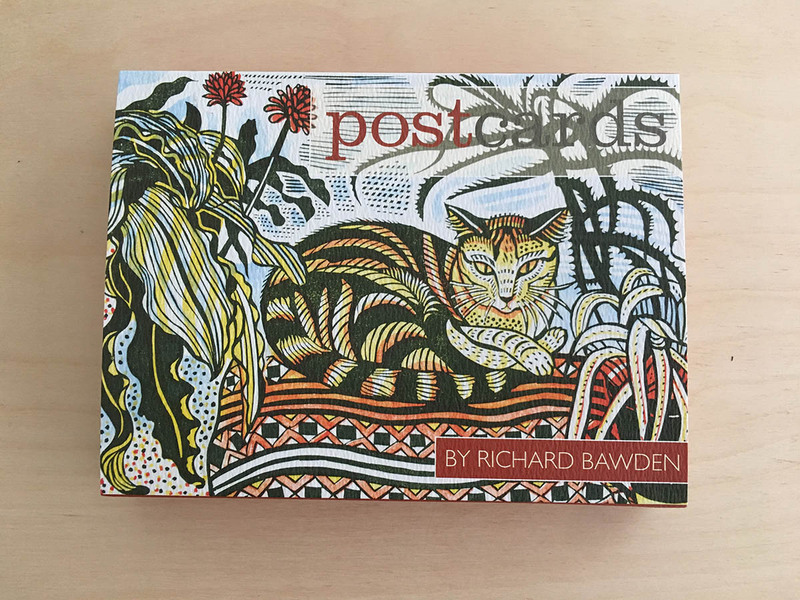 A set of 10 folded notecards - 5 each of 2 different oil paintings by Winifred Nicholson. With envelopes. A set of 10 notecards 5 each of 2 designs based on original prints by Angie Lewin. Folded and blank for your message. With envelopes.